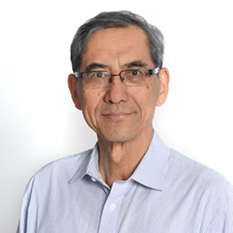 Professor Tajima is a theoretical physicist, working on accelerator physics, plasma physics, fusion, laser physics, astrophysics, and medical applications of physics. He has authored or edited 10 books (or monographs) and has written over 500 papers and some 30 patents. Professor Toshiki Tajima currently holds the Norman Rostoker Chair in the Department of Physics and Astronomy at UC Irvine, which aims to extend Professor Norman Rostoker’s legacy in plasma physics and applied physics. Tajima was Professor Rostoker’s first PhD student at UC Irvine. Between his stints at UC Irvine, he was The Jane and Roland Blumberg Professor in Physics at the University of Texas at Austin, where, among other projects, he started the first DoE-sponsored laser wakefield acceleration project (with Prof. Downer) in 1993. He also part of the team that first demonstrated the experimental Proof-of-Principle of LWFA in 1994,1995. He subsequently served as Director-General of the Kansai Photon Science Institute of the Japan Atomic Energy Agency as well as Chair Professor at Ludwig Maximilian University. Research expertise and fields: high field science, laser acceleration, ultrafast science, crossfield of laser and accelerator, accelerator-driven fusion. He exercises leadership in the two major fields in the world: (1) the laser-driven acceleration and high field science; (2) the science of beam-driven aneutronic fusion. Current interests and projects: laser electron and ion acceleration, zeptosecond coherent X-rays, photo-nuclear physics, beam-driven Field Reversed Configuration, medical applications of accelerators, lasers, and fusion.